Each One, Reach One | Recycle Florida Today, Inc. 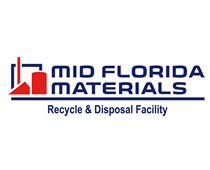 Recycle Florida Today serves as Florida’s premier recycling organization representing hundreds of recycling and environmental professionals throughout Florida from the public, private and non-profit sectors. Our goal is to take a proactive approach in providing opportunities for education and networking through sponsored and partnered events as well as keeping our members informed on legislative issues that pertain to the industry. It’s a great opportunity for all of us to learn from each other. Our biggest partner in the progress and growth of this message is YOU – our members and extended network. buy paper mario sticker star Our get link Each One, Reach One program is an opportunity for you to share the good news of RFT to colleagues and friends. Not a current member of RFT? Click below to join or renew and start receiving education, networking and additional benefits of being a member such as discounts to our upcoming events, including ELLS, our Winter Summit, and Annual Conference and Exhibition. source site What Is Each One, Reach One? 1 to 3 days delivery time for viagra “Each One, Reach One” is a program that aims to grow the membership and network of Recycle Florida Today, Inc. (RFT) all while adding value and diversity in education, networking and information sharing by growing our network of environmental professionals. follow url Members are invited to forward an email to colleagues and friends with an introduction to a potential new member, cc’ing RFT. RFT will follow up to that email with a thank you for the connection. It’s that simple! https://www.trip.indiana.edu/students/cultural-anthropology-essay/25/ The Benefits and Rewards! type my essay free Referral rewards! Each new member application that lists you as the referring member will allow for you (the current member) to receive a $25 RFT* referral credit to your membership account. These credits can be used towards the renewal of your membership or for future RFT only events that require a paid registration. To take advantage of this credit, the new member must list you as the referral during the application process, cannot have been a past member within the past (24) twenty-four months, and you must remain a member in good standing. Credits are non-transferable and expire at the end of the current year. Inform the public, law-making bodies and the business community of the economic significance and importance of recycling, and to demonstrate the high professional standards of those involved in the business of recycling. This will be accomplished through sponsorship of educational meetings, research, and publication of articles, reports, statistics, and other material. editing creative writing worksheets Thank you for your support and for sharing the good news of RFT with your colleagues and friends.